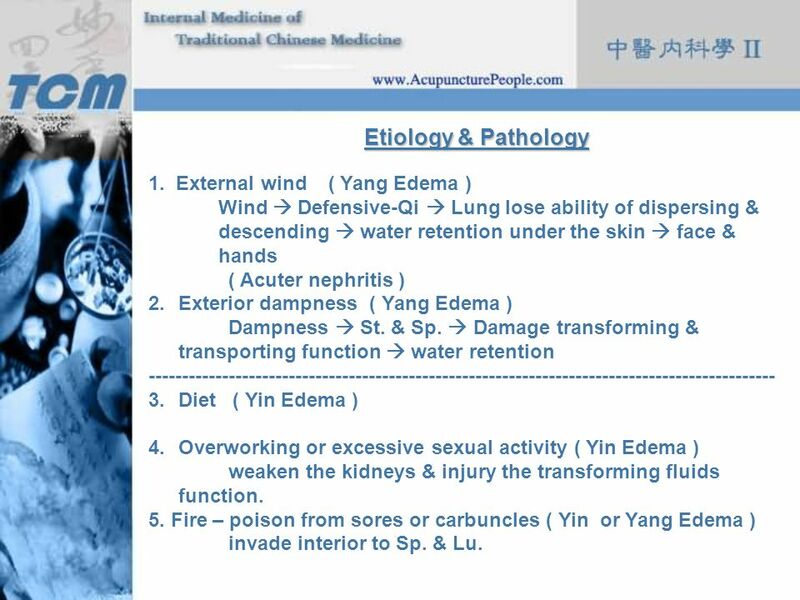 Wind  Defensive-Qi  Lung lose ability of dispersing & descending  water retention under the skin  face & hands ( Acuter nephritis ) Exterior dampness ( Yang Edema ) Dampness  St. & Sp.  Damage transforming & transporting function  water retention Diet ( Yin Edema ) Overworking or excessive sexual activity ( Yin Edema ) weaken the kidneys & injury the transforming fluids function. 5. 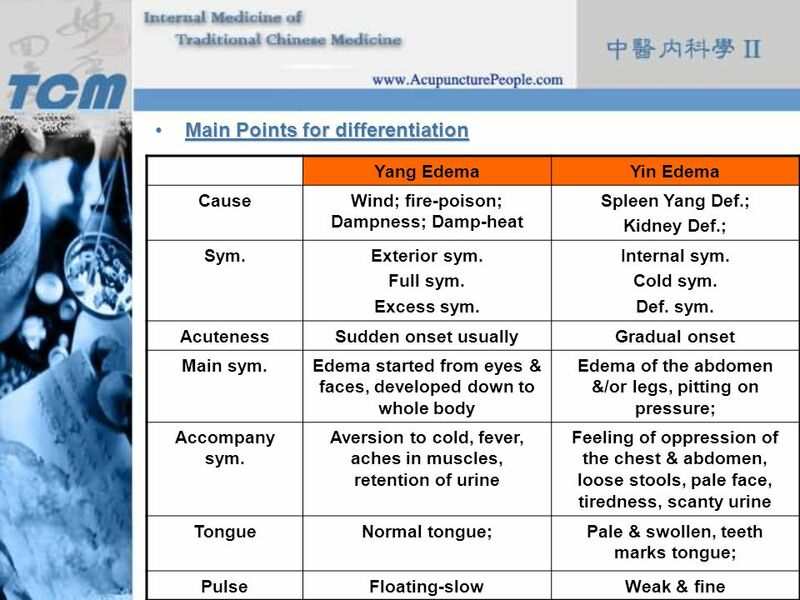 Fire – poison from sores or carbuncles ( Yin or Yang Edema ) invade interior to Sp. 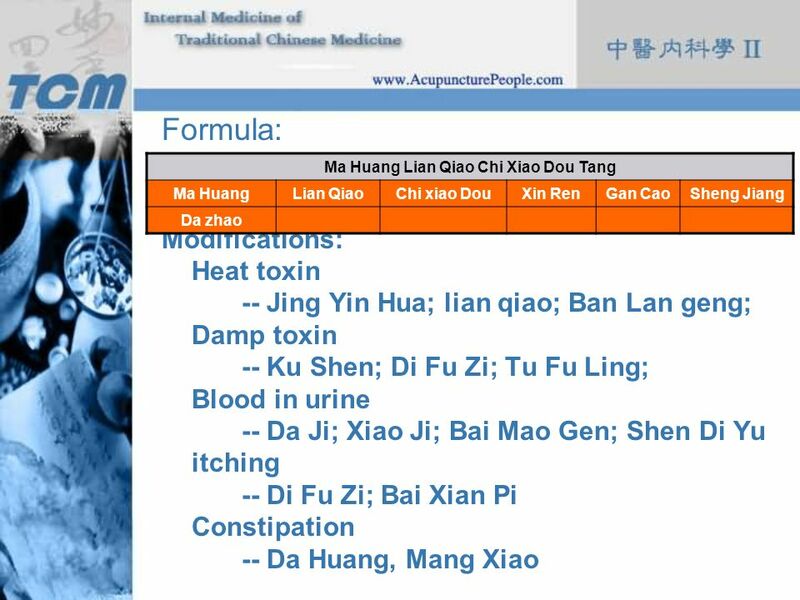 & Lu. 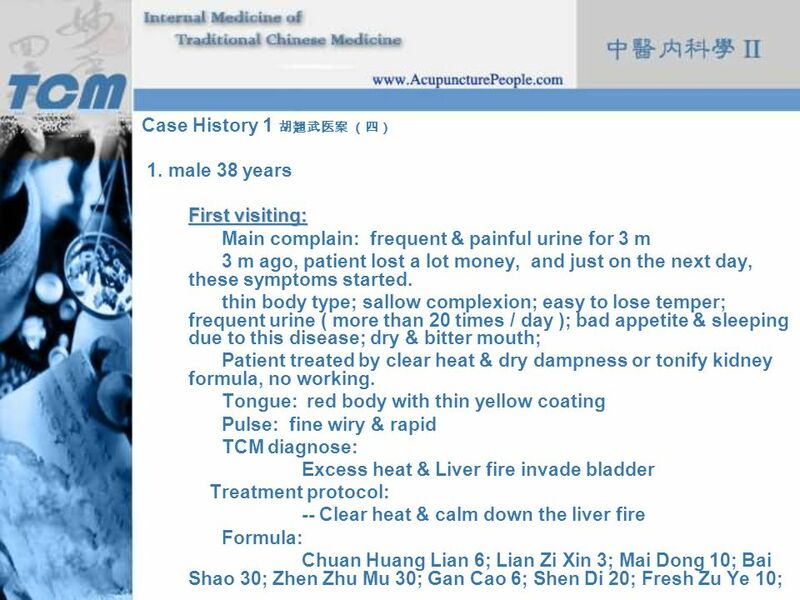 frequent & urgent or dribbling in micturition with prickling pain, desiring but difficulty in urination, with spastic distension in the lower abdomen or pain expanding to waist and abdomen Retention of urine Small amount urination, passes as drops ( Long ); Or even completely retained ( Bi ); The patient wants to urinate but the urine does not flow freely and he or she has distention and pain; when the patient dose not want to urinate, there is some dribbling. 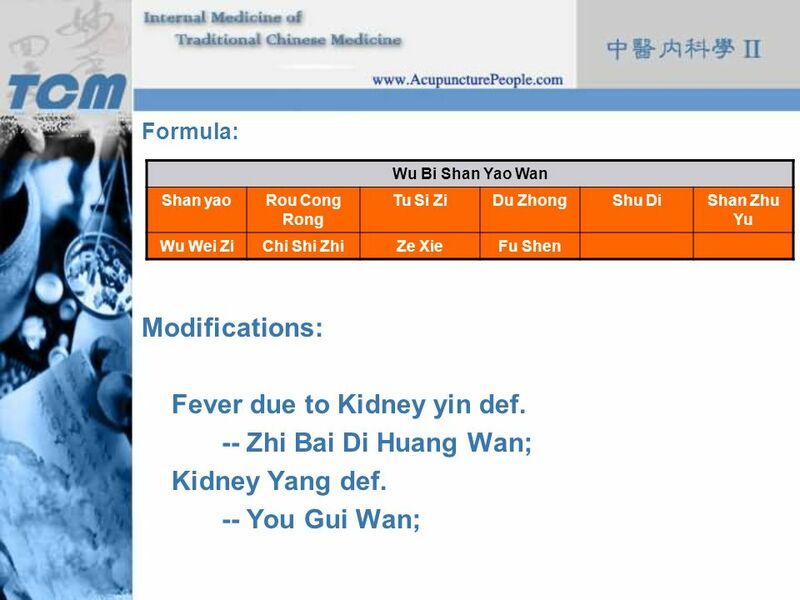 34 Fever due to Kidney yin def. 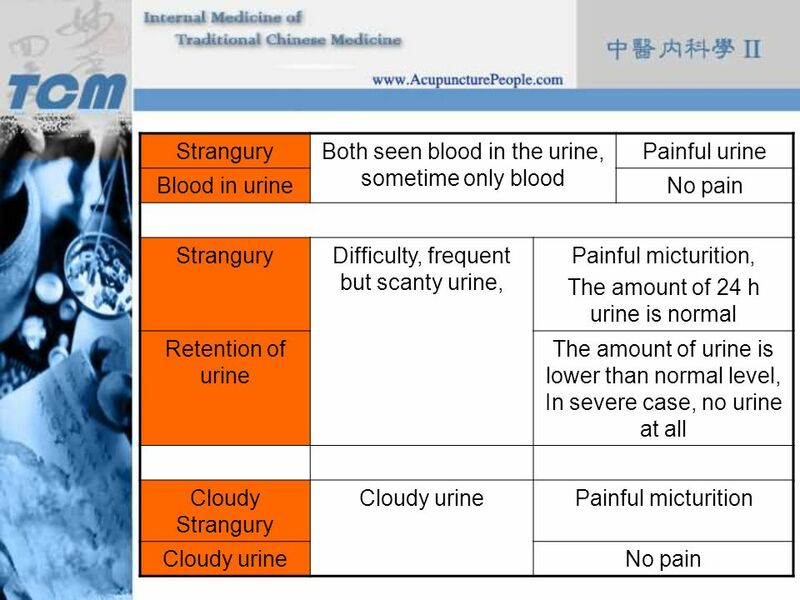 -- Zhi Bai Di Huang Wan; Kidney Yang def. 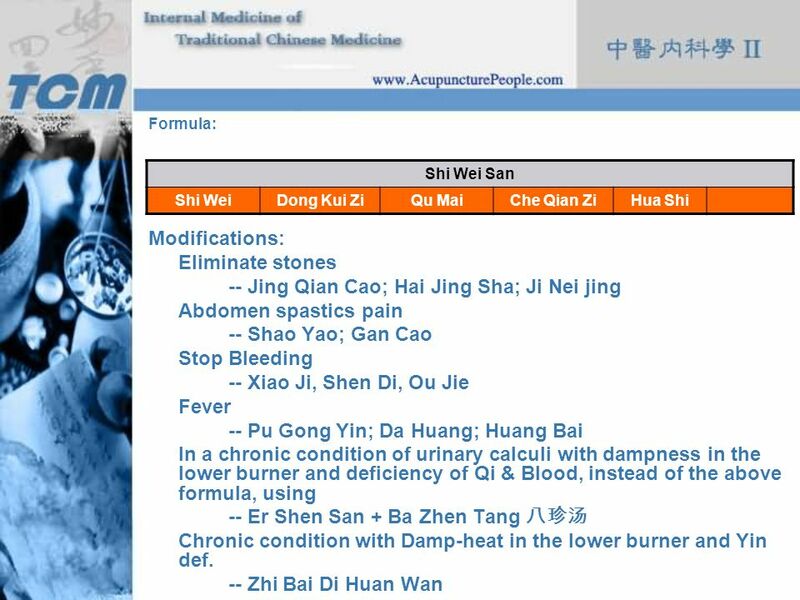 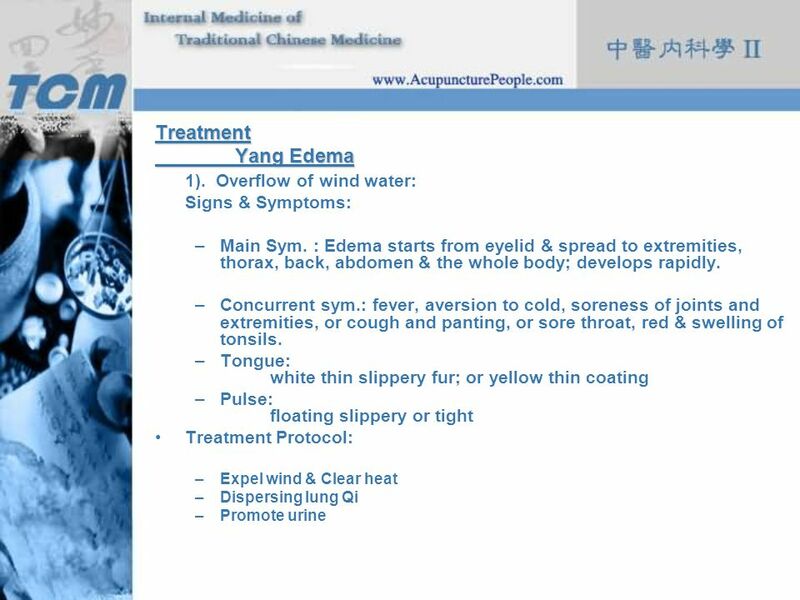 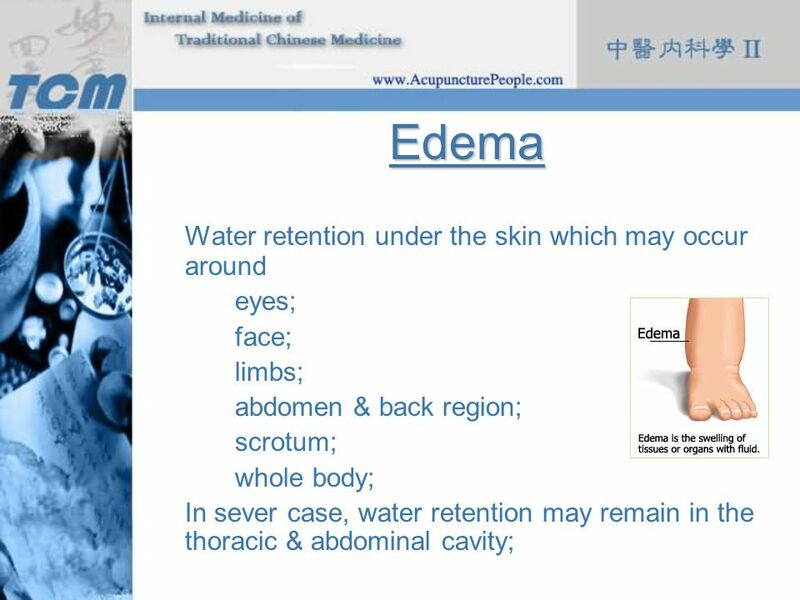 Download ppt "Edema Water retention under the skin which may occur around eyes;"
Diabetes ( Xiao Ke) TCM refers to diabetes as Wasting-Thirst syndrome. Symptoms includes polydipsia, polyphagia, polyuria, and emaciation or sweat urine. 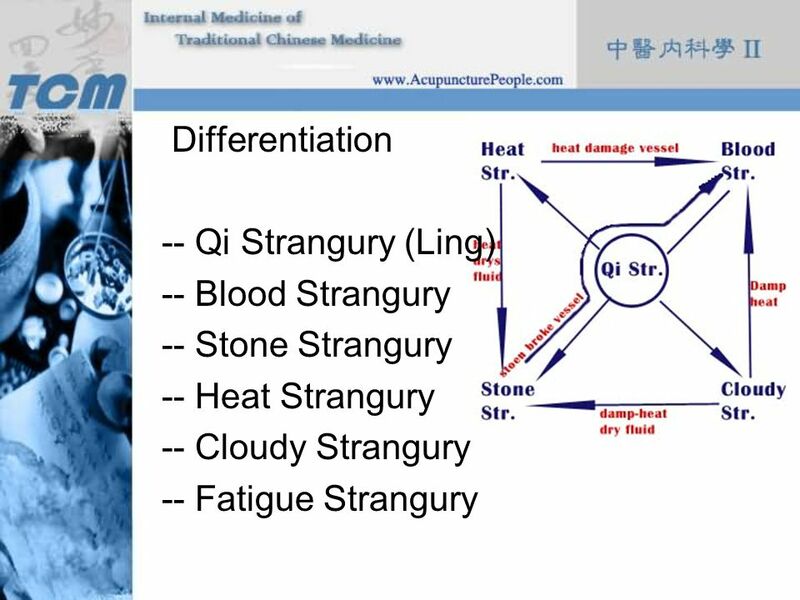 Herb Lab 3 Study Guide Quiz 1 This is in a Quiz format. 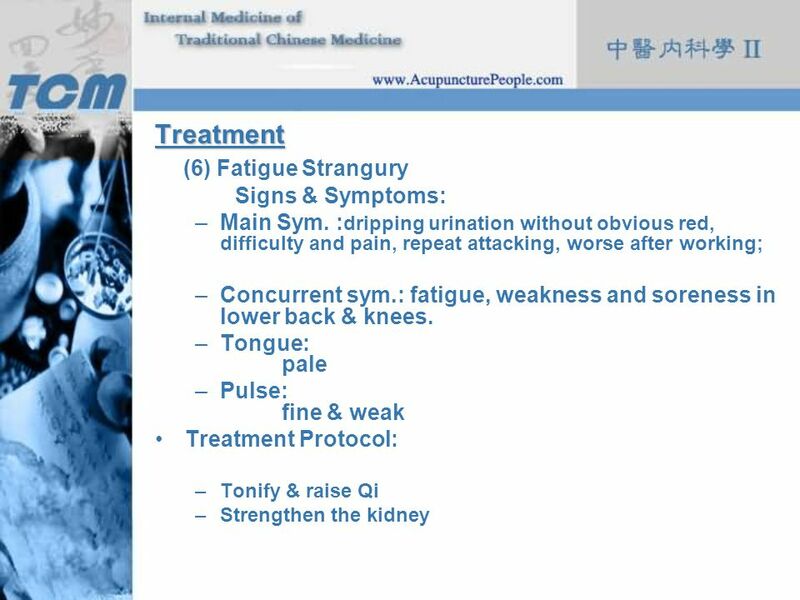 Click to get the answers on the following slides. 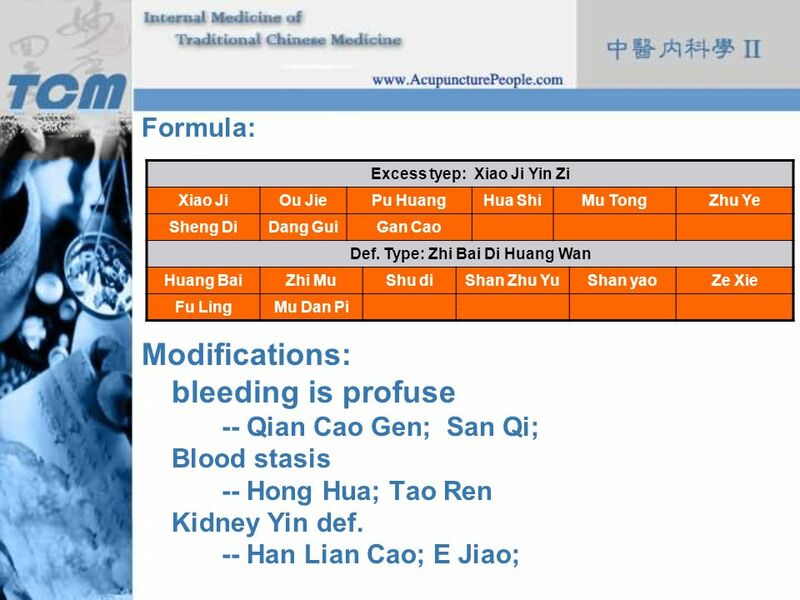 7th World Congress of Chinese Medicine J.D. Setyo, MD. 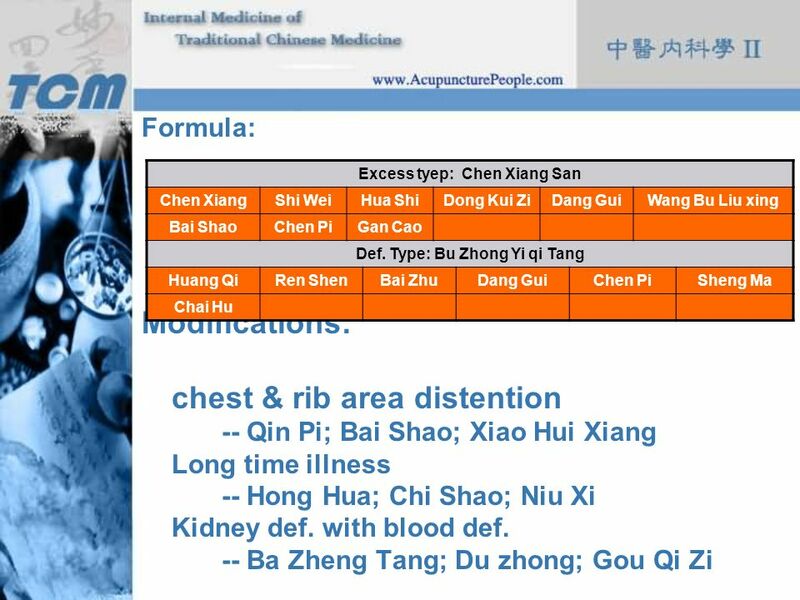 $200 $300 $400 Final Jeopardy $100 $200 $300 $400 $500 $100 $200 $300 $400 $500 $100 $200 $300 $400 $500 $100 $200 $300 $400 $500 $ More Zang Fu. 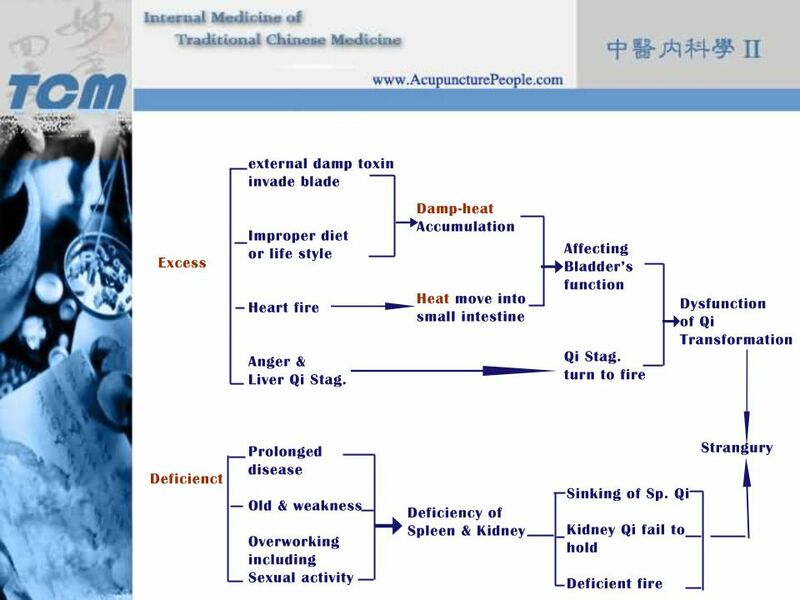 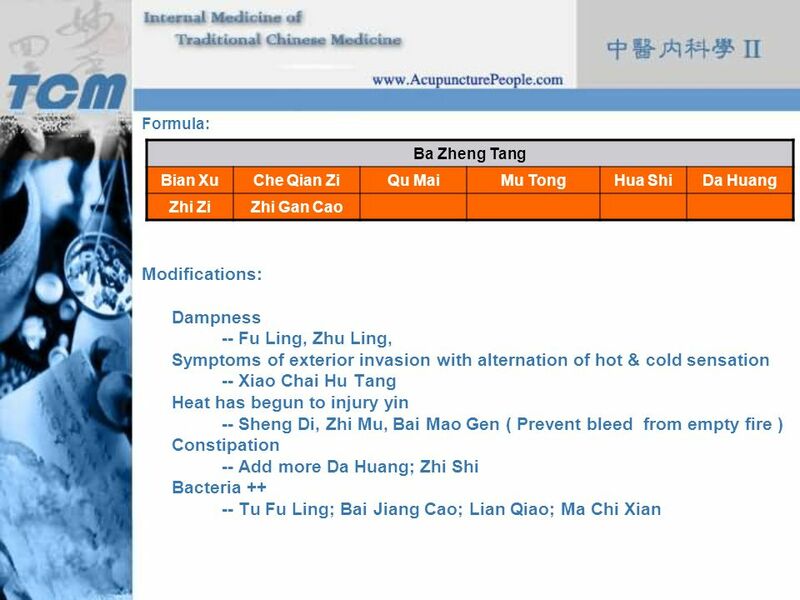 Classification of Materia Medica On pathogenic factors 1.Wind-cold Ma huang Gui zhi Xi xin Jing jie Fang feng 2.Wind-heat Shao yang Sang ye Chai hu Ju. Different Ma Huang 麻黄 Gui Zhi 桂枝 Induce sweating StrongMild Acrid StrongMild Both can release the exterior Exterior cold without sweatingExterior cold. 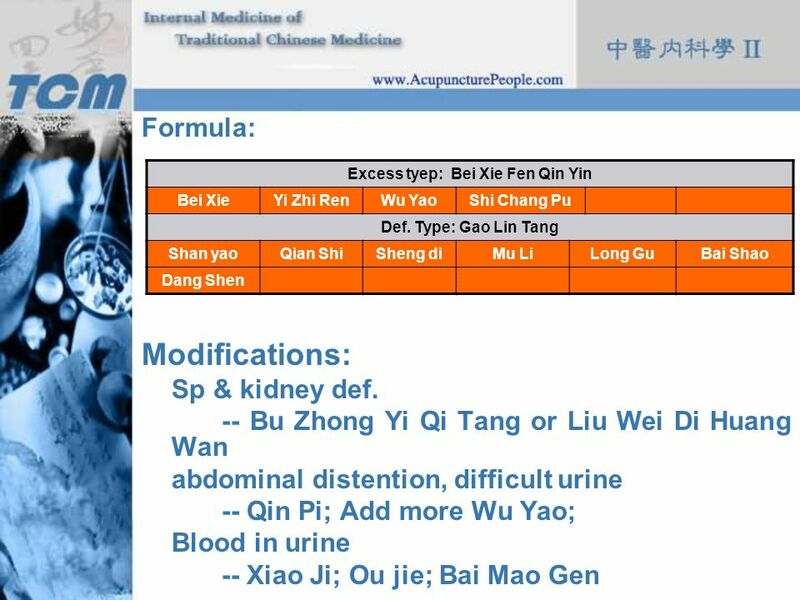 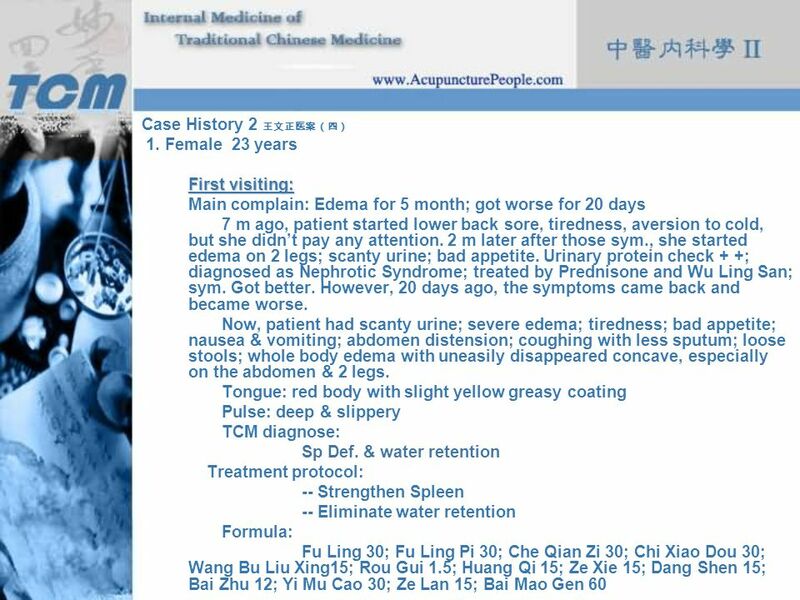 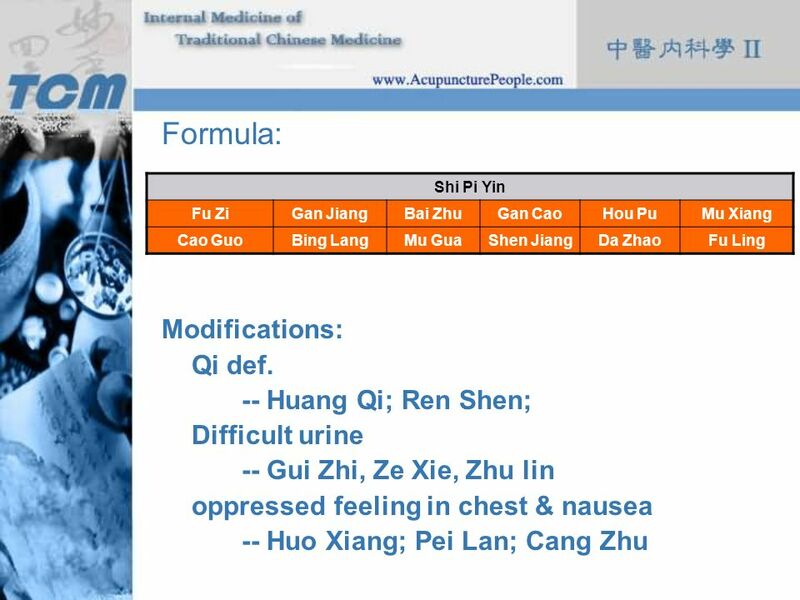 Class 2: Kidney disorder: Urinary disturbance (Lin), Retention of Urine Xianhui Li. 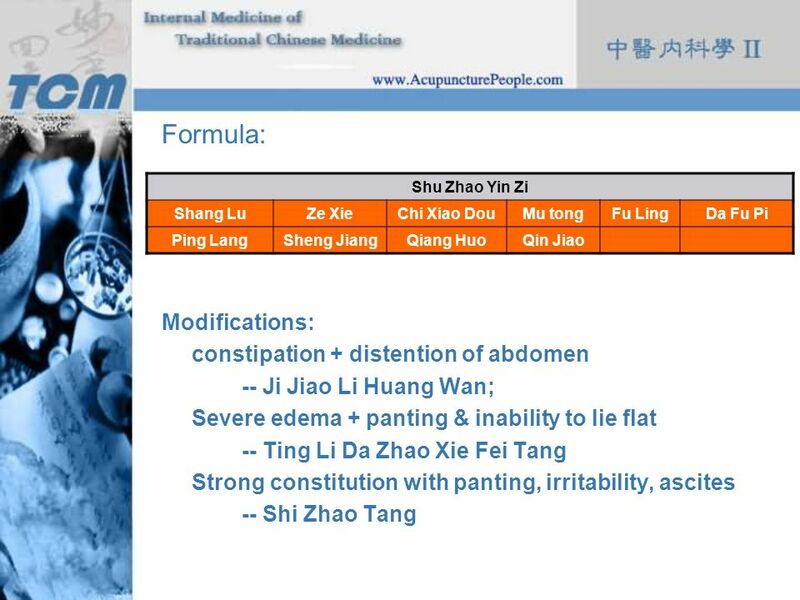 Diarrhea What is diarrhea ? 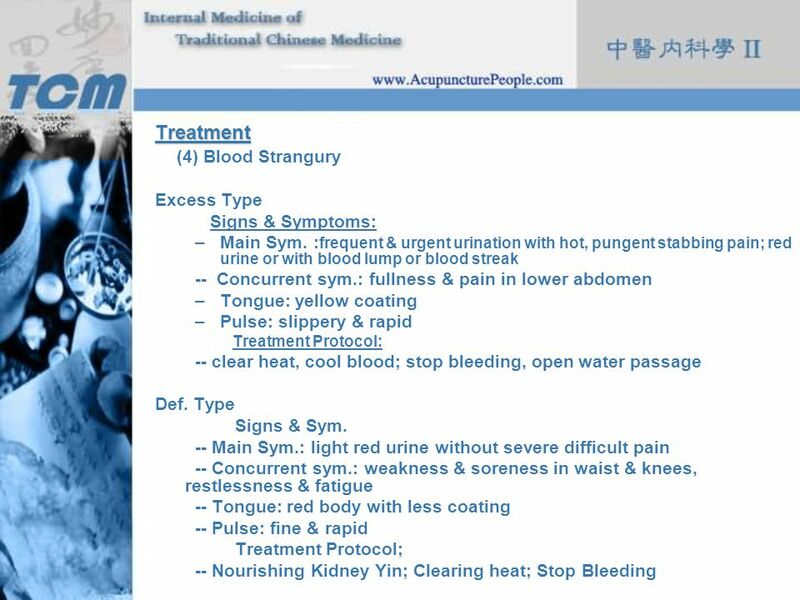 Dysentery What is dysentery ? 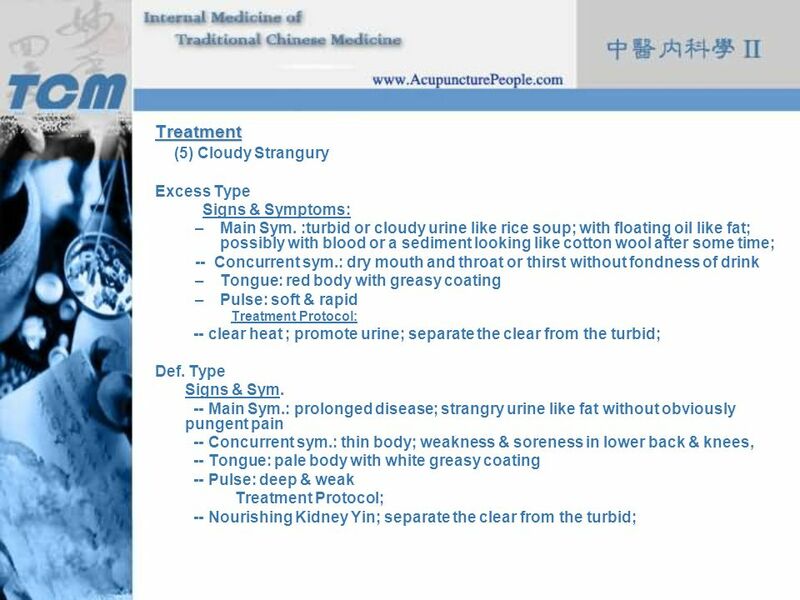 Dysentery is an illness involving severe diarrhea that is often associated with blood & pus in the feces, often seen in the.